If you love shopping — and if you’re staying at the InterContinental Hotel (or around this general area) during the week — you’re in for a treat. In the heart of downtown Bangkok, Chitlom BTS station is connected to mammoth-sized malls, featuring everything from branded designer goods to Thai hand-crafts. We can’t overlook the amazing restaurants in the area either. Take Exit 5. 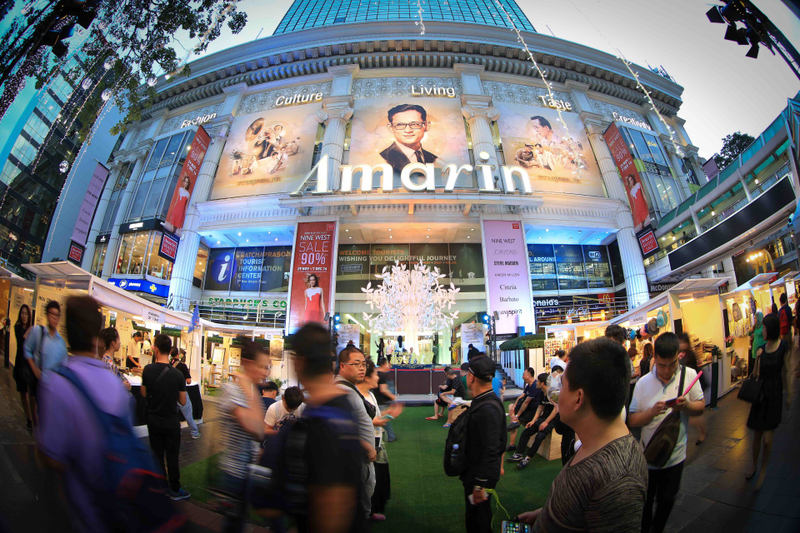 Opened in 1973, Central Chidlom is one of Bangkok’s oldest and first department stores. It has evolved with time and today is a shopper’s delight offering the best selection of brands and goods in categories ranging from home goods to baby to fashion. Not too large and not too small, Central Chidlom is just the right size for some productive shopping. You can’t miss it as you exit the BTS station. 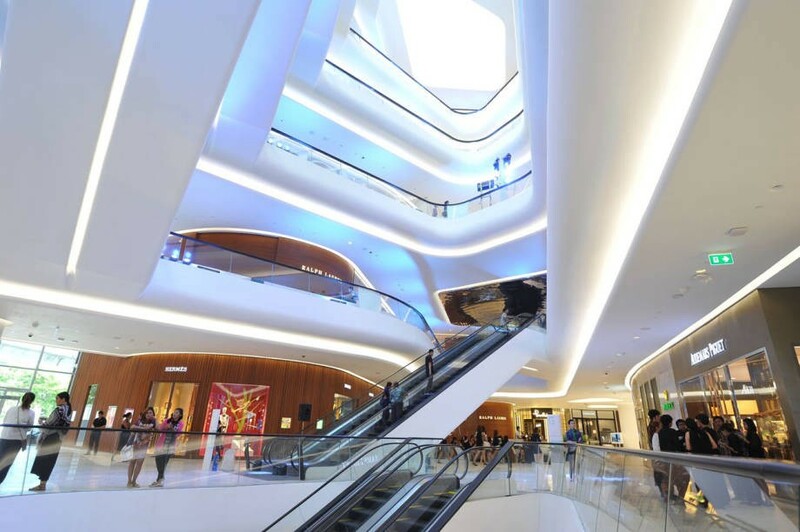 Having recently opened in 2014, Central Embassy is right next door to Central Chidlom (both shopping centers are connected via the walkway) and is one of the largest and most impressive malls in South-east Asia with its unique curving facade and interiors. Central Embassy is a shoppers haven with finely selected designer fashion, lifestyle and accessory brands as well as unique, one-of-a-kind eateries. Pro-tip: Go to the top floor and check out Open House — you won’t regret it. Once you exit the BTS turnstiles, walk for approximately five to ten minutes on the skywalk and look out for Exit 9 on the right-hand side connecting to CentralWorld. It is the sixth largest mall in the world and features famous and popular local and international fashion brands such as Jaspal, Chaps, GAP, Forever 21, Bershka, TopShop, Dorothy Perkins and many, many more. Needless to say, CentralWorld is a must on your visit to Bangkok. 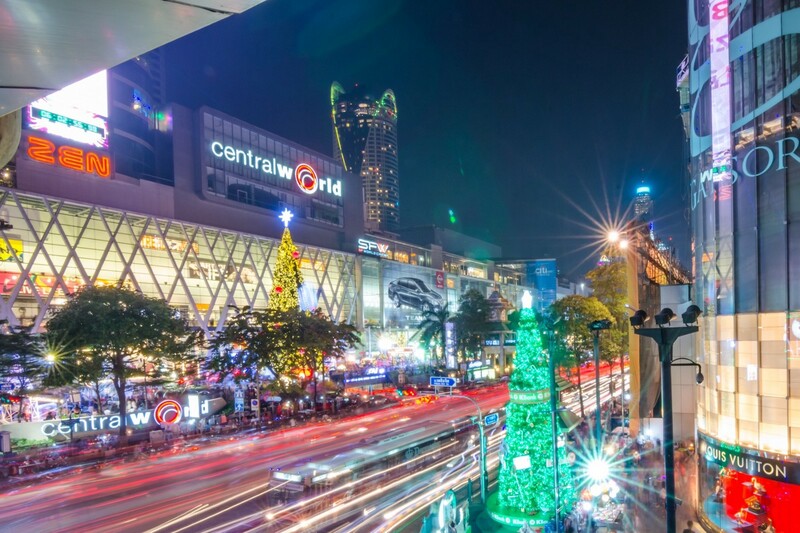 Within CentralWorld you will also find Japanese department store ISETAN and local department store ZEN. And you’re definitely going to need some recharging if you plan to make the most of a day here, so be sure to explore the various restaurants and food court on the 6th and 7th floors and the new GROOVE annex with even more stores and restaurants. The choices for dining can be overwhelming so you might find this Hungry Guide for CentralWorld handy. Have fun! Look out for Exit 6 when you exit the BTS turnstiles and it will lead you to Amarin Plaza. A shopping center with a more local flair, you’ll especially enjoy shopping in the Thai Craft Market located on the 3rd floor, which features everything from handmade tapestries to wooden souvenirs and ornate showpieces.